We are passionate about reducing the amount of sugar from our communities diets. With diabetes and obesity on the increase we believe that one of the easiest and best ways to address this is to reduce the amount of added sugar in the communities diet. However - we understand that changing behaviour is difficult so we are supporting two major initiatives in critical areas to provide a sugar free option and healthier choices. We believe that sporting clubs are a critical part of the community and have the ability to educate and lead by example. 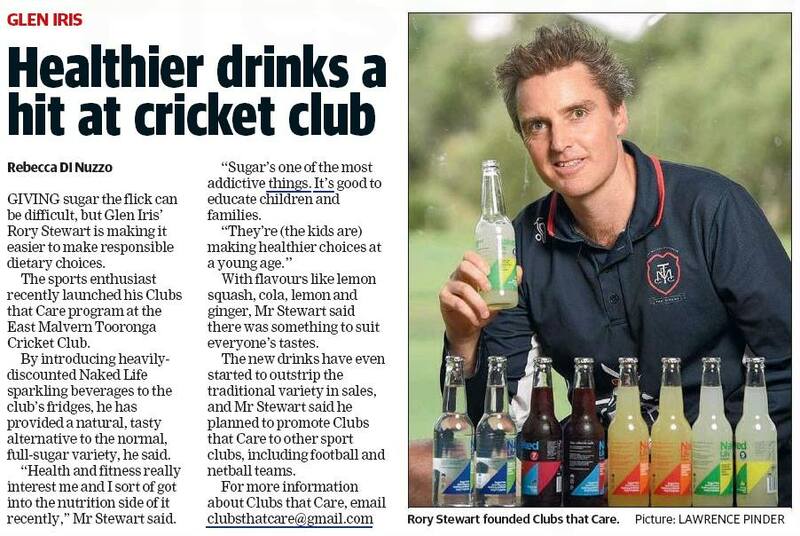 We have teamed up with Rory Stewart to support sporting clubs with Sugar Free and 100% natural beverages to replace their sugary drinks in the canteens and match day events at a discounted rate. If you would like to know more please contact us on our contact page.